Nearly half of the yachts on display at the Monaco Yacht Show are making their official debuts. Monaco may be the second-smallest country in the world, but from September 24 to 27, it&apos;s the center of the universe—at least where megayachts are concerned. Those are the dates of the annual Monaco Yacht Show, which has become the must-attend event for builders, designers, brokers, gear manufacturers, yacht buyers, and yes, even we media types. 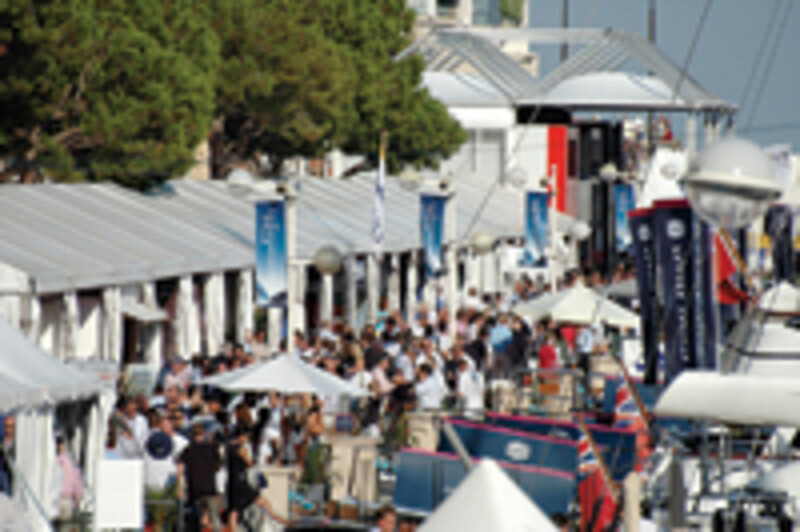 In fact, the show is so popular that, according to its organizers, it sold out its on-land and in-water exhibition space in Port Hercule seven months before the upcoming opening day. As further proof of the show&apos;s significance, the organizers say 500 exhibitors will be in attendance, including 82 shipyards, 45 naval-architecture and interior-design firms, and even 13 tender manufacturers. In addition, 95 yachts ranging from 80 to 262 feet will be docked along the quays, with 40 being world premieres. —Anastasia, from Oceanco: commissioned by a first-time yacht owner from Russia, the 246-footer features a huge fish tank dividing the main saloon from the dining room and a split-level owner&apos;s suite. In addition, she totes two Vikal limo tenders custom-designed by Sam Sorgiovanni, who also designed the yacht&apos;s interior and profile. —Martha Ann, from Lrssen: this 230-footer is one of a number of recent deliveries with styling by Espen ino, but it&apos;s her blue hull and interior design by Franois Zuretti that make her stand apart. The same holds true for her VIP suite on the bridge deck and nearly 1,400-square-foot owner&apos;s suite on the main deck. —YachtPlus 1, built by Rodriquez: the first of an anticipated ten similar-size yachts being offered by YachtPlus, a fractional-ownership company, the 134-footer was designed by Sir Norman Foster and will feature five suites for up to 12 guests as well as a permanent crew of seven. The leading superyacht specialists’ stands line the handful of quays. —the first 54-meter (177-footer) from AMY, a joint venture between Cantieri Navali Lavagna and T. Mariotti/Genova. Besides being a recipient of RINA&apos;s Green Star certificate, denoting her build and operation are in compliance with strict environmental regulations, she&apos;ll have balconies along her side as well as a stern "balcony on the sea." The latter is formed when the transom is opened and therefore the seating area inside has a clear view of the anchorage. —Harle, from Feadship/Royal Van Lent: the 147-footer is the second of the yard&apos;s new F45 semicustom series and includes all staterooms on the main deck. 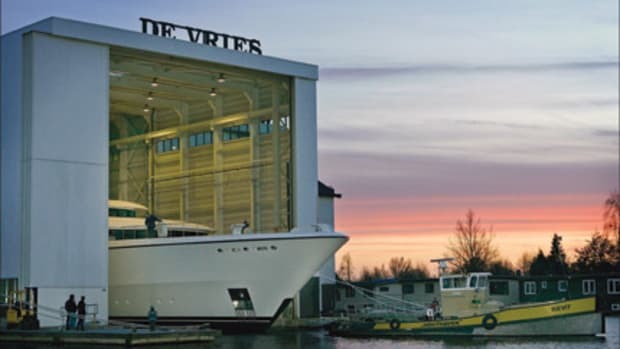 She&apos;s also the first to be featured in Feadship&apos;s new charter program. 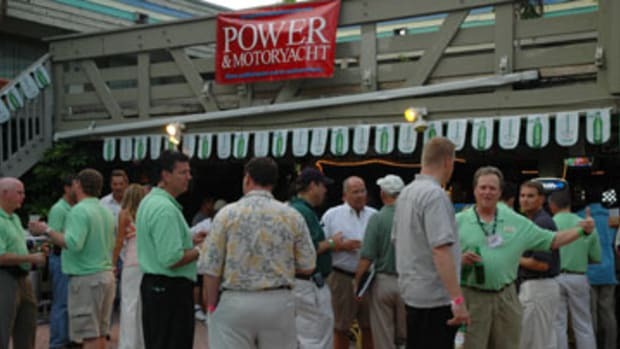 As is tradition, the organizers of the Monaco Yacht Show are keen on being socially aware. Since 2001 they have supported the Monegasque Association Against Duchenne Muscular Dystrophy, a disease that affects not only voluntary muscles but eventually the heart and breathing muscles, through proceeds of charitable auctions held during the show and donating 50 percent of its entrance fees. 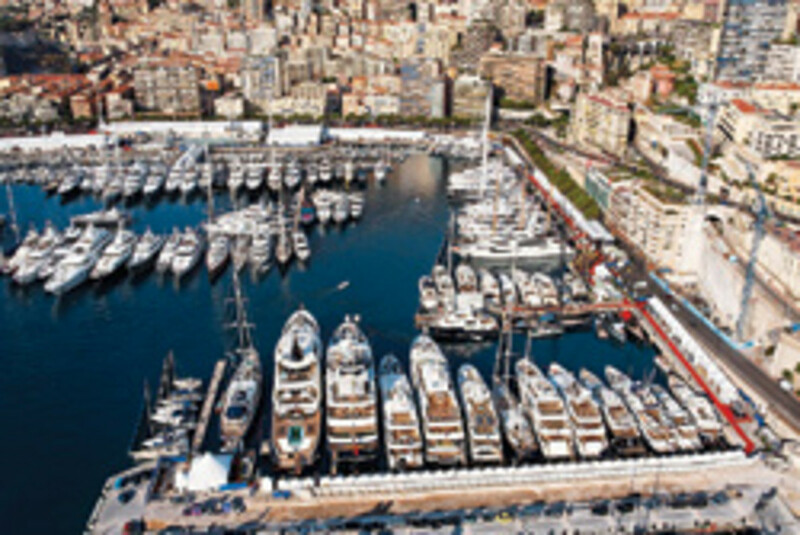 And since 2005 the Monaco Yacht Show has earned the Carbon Neutral label by paying an eco-tax to finance global environmental-protection projects in association with Camper & Nicholsons. Past projects include planting tree farms. Admission tickets, which cost €60 (about $90), are sold each day of the show at various entrances. For further details, visit the Web site. Due to clients&apos; requests as well as its own desire to keep potential and current buyers in the family, Feadship has launched a charter division. 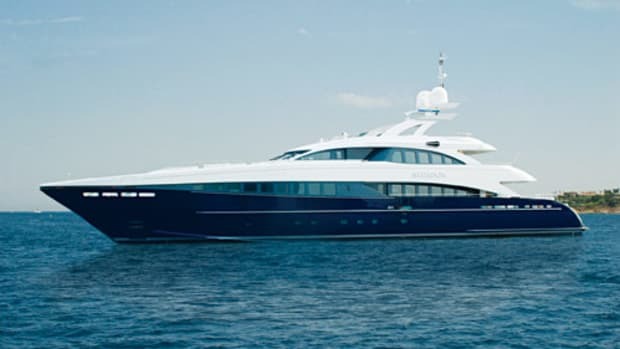 Headquartered in the Feadship America office in Fort Lauderdale, the division will only have Feadships in its fleet, though it will work with brokers of existing charter firms who represent its yachts. The first member of the Feadship Charter Division fleet is the 147-foot Harle, which hosted her inaugural charter during Easter week. 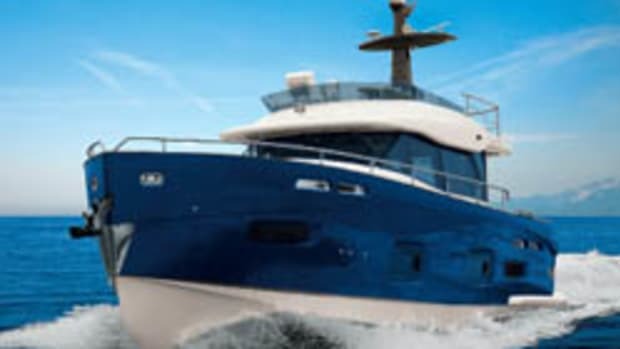 The second hull of the Northern Marine 151-foot trideck motoryacht series launched in early June. Bella Bri was designed by the team at Jonathan Quinn Barnett. Amphitrite, the eighth in Moonen Shipyards&apos; popular four-cabin 84 series, was also delivered in June. The full-displacement design, introduced in 2002, is Moonen&apos;s most successful semicustom model since the Dutch yard&apos;s founding in 1981. Highlights include cherrywood wall panels, furniture, headboards, and parquet floors in guest staterooms and doussie, a straight-grained African hardwood, for the main saloon&apos;s sole.